This pack contains 1 copy of Principles of Human Physiology Global Edition + 1 printed access card to Modified Mastering A&P with eText. 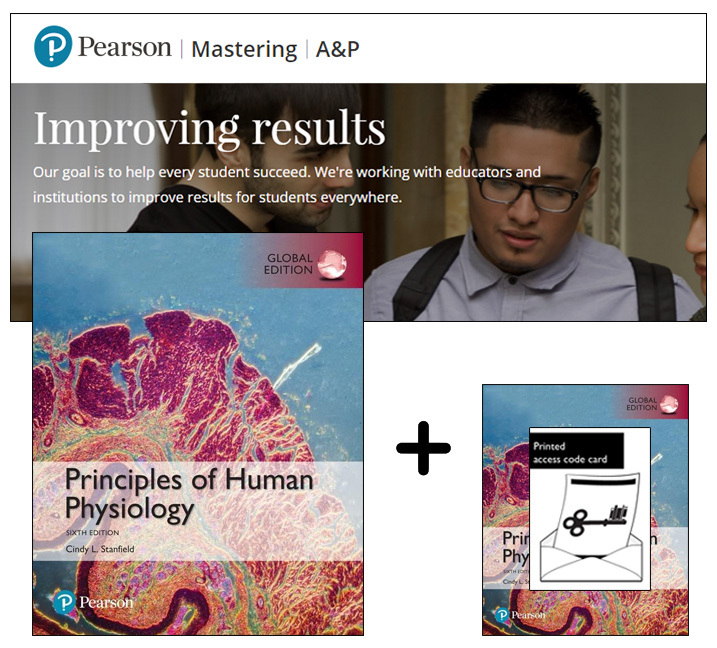 Modified Mastering A&P is an online homework, tutorial, and assessment program designed to work with Principles of Human Physiology to engage students and improve results. Instructors ensure students arrive ready to learn by assigning educationally effective content before class, and encourage critical thinking and retention with in-class resources like Learning Catalytics™.